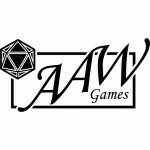 This topic is to discuss the Adventureaweek.com A-series adventures. I can’t remember if I posted this, but did anyone else have a similar experience? My players are currently in Winterflower, and reacted in an interesting manner to ‘Alem’s Quest’. When they were offered 50+ gold to get a ‘rare gem’, they asked why the dwarves would give up such a gem, and what would they have to give the dwarves for it? I made a mysterious package that they will give the dwarves for it (to avoid the issue entirely unless forced to deal with it), but the point is a good one – the rationale that dwarves ‘love humans and particularly warriors’ doesn’t really deal with this well. Additionally, why would the dwarves be okay with the group penetrating an entrance to their secret kingdom? Perhaps little used/not well guarded/ very easy to defend? Any ideas? I remember posting this somewhere, but can’t find it now. I think their point was ’50 gp to pick up a gem sounds like something we’d agree to, but 50 gp to cross the wilderness and invade the dwarven nation to steal a gem is less appealing’. There is a side encounter to get the dwarf to give you the gem, but the initial premise needs to be adjusted to make sense to the PCs. As I said, if they sound like messengers (sent to trade for the gem), it does make more sense. Sometimes things in life don’t make sense, nor are they a good deal. I’ve been offered pretty paltry rewards for some fairly monumental tasks in my life. Luckily there are three quests for the PCs to choose from and choose they may! Please adjust this if you feel the need, but I felt the personality of the suitors should be reflected in their actions and requests. I know Paizo likes to have extremely balanced encounters and actions that “make sense” for the PCs, but honestly life just isn’t always that cut and dry. There’s more gray area than there is white and black. Of course I trust in your ability as a GM to alter things so they are better received by your group. After starting with A0 and A1, in order to have the best lead into Rybalka to get started on the RotD prologue; should I continue with A2 & A3? I haven’t read the other 2 yet & want to make sure I keep the progression as smooth/natural as possible for the players. We started the first session with only 3 of the 4 players, due to one player getting made to work unexpectedly. The 3 came in with a Ranged Fighter, a support Bard that uses a whip, and ninja (contracted to steal crafting secrets rumored to be possessed by the Vikmordere). Despite the party composition, they made light work of the 10 kobold encounter which I tried to make more difficult by making 1 a caster (shaman) to scare them into the longhouse for the exchange with the spirits to get the final quest. The Bard used lullaby & sleep rather well, the caster missed with a few spells, etc etc. Knowing this about the party; do you think they might need to go on a slow XP path if I go all the way to A05? What god is Juriendor a High Priest of exactly in the Aventyr campaign setting? All I can find on him is the “God of War”. When attempting to follow through on this, none of the deities listed with the war domain are Good, 2 are Evil (Onael, Zagnexis) and the 3rd is Neutral (Naneth). Man, what happened to the Deities page? We had our menus crash a couple weeks ago and had to rebuild them. I’ve simply forgotten to replace the deities link and will do so now. If you ever need to find something in the future please feel free to use the SEARCH bar in the top right of most pages on the site. You can pop anything you need in there and it should come up. So, due to Real Life issues the players have just finally finished A-04 going into A-05 & on to RotD Hopefully next week. I have just informed them that I want them all to start keeping a journal in character of their experiences & thoughts as they have finally gotten somewhat settled in Rybalka. I am in hopes that they all do so, and allow me to use them to do a short story on the forums which tells of their adventures.